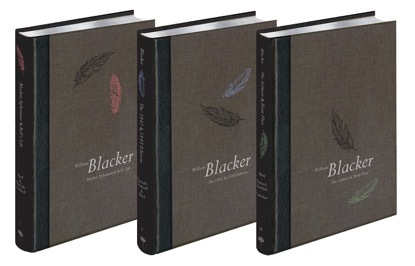 The Blacker project is coming along nicely - Volume One is designed, laid out to page and edited, and Volume Two is well under way. 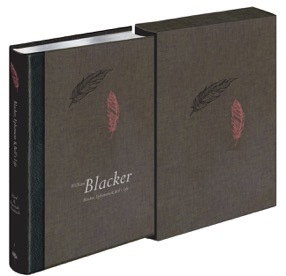 We thought you might like to see the final designs of the cloth bound copies (limited to 250 sets) . . .